February 28, 2016 14:24 | Posted by Ashley Proctor | No Comments | Six of our Cubs headed to 1st Helsby yesterday (27/02/2016) to compete in the annual District Cub Craft Competition. The objective for this year’s Craft Competition was to make a model of ‘Tim Peake aboard the International Space Station’ to celebrate the British Astronauts current mission orbiting Earth in the International Space Station. 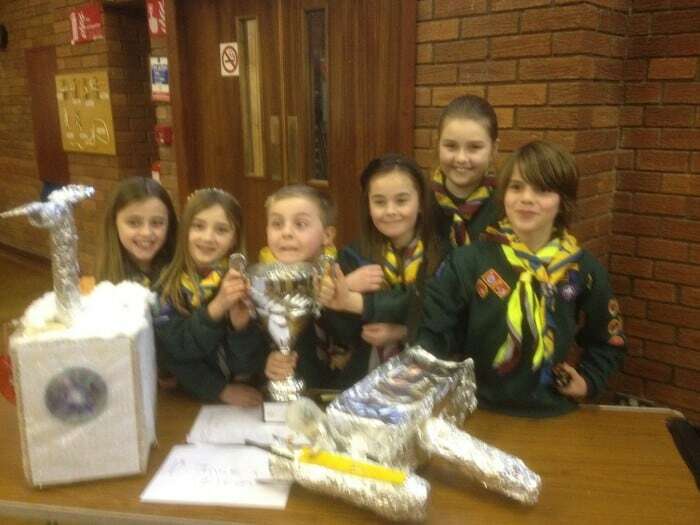 The Cubs had just under 2 hours to design and build their model before it was time to present it before the judges. We’re very pleased to announce that our Cubs came joint 1st place with Cubs from 1st Helsby – marking the second consecutive year of our pack coming in 1st place in the competition. A massive congratulations and well done to those involved!